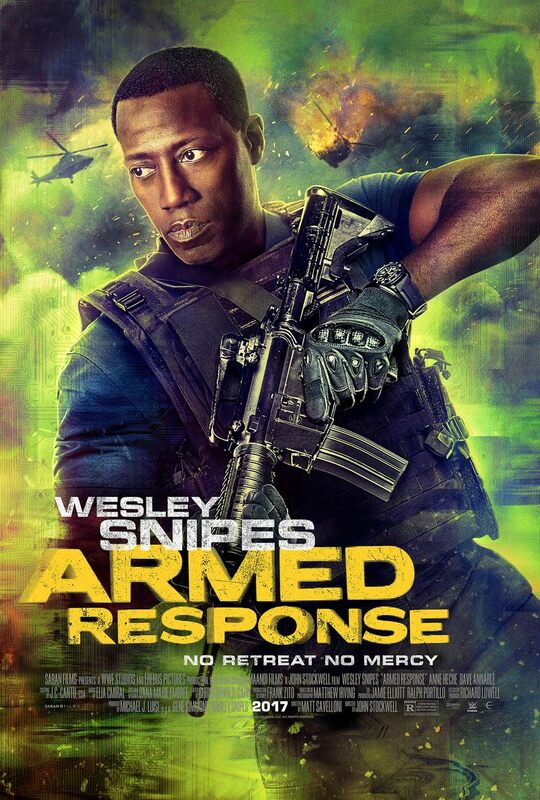 Armed Response DVD and Blu-ray release date was set for October 10, 2017 and available on Digital HD from Amazon Video and iTunes on October 10, 2017. A team of special ops people suddenly finds themselves stuck in a military complex in the middle of nowhere. When they begin to investigate the disappearance of the group that was sent it before them, it quickly becomes obvious that they are up against a highly sophisticated enemy that has no plans of relinquishing power anytime soon. In fact, the strange feelings that have overcome their bodies seem to have something to do with the compound's AI being disabled. And their only way out will be to outwit the system before it's too late.